Since the US China trade war kicked off in the middle of 2018, Thai businesses have begun to feel the pinch as indicated by a small downward trend in Thai export numbers. In the short run, some Thai export items may benefit from trade diversion as US and Chinese importers shifted to certain Thai products to avoid punitive tariffs. However, indirect effect from the trade war on regional supply chains can dampen Thai export sentiment in the long run. The effects are expected to be much greater than any potential Brexit fallout which economists believe will have minimal effect. 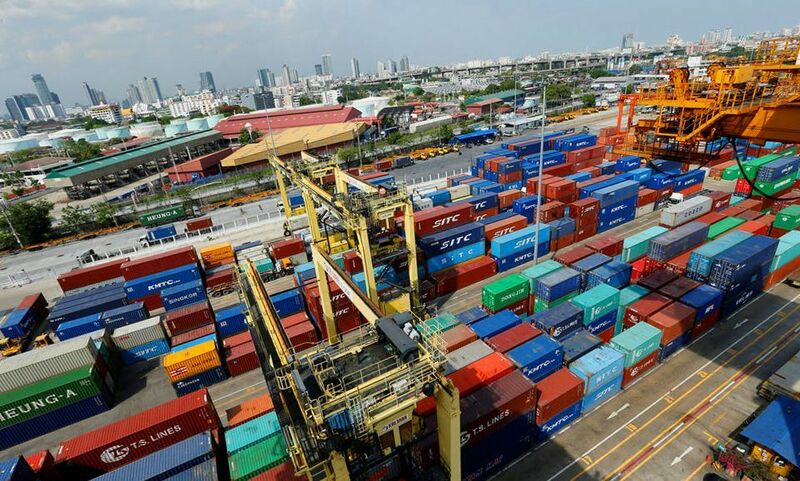 The Commerce Ministry says that Thai outbound shipment in February rose 5.9% year-on-year. But, the figure could be misleading. Without the exports of weapons for the military drills with the US which was the one-time factor, Thai exports would have actually contracted 3.4% in February. The sluggish exports are mainly attributed to lackluster global economic performance, especially the Chinese economy which grew at the slowest pace in 28 years partly because of the trade war with the US. A recent study released by the UN Conference on Trade and Development shows that Thailand is among the top 12 countries to benefit from trade diversion from the US and China trade dispute with a value estimated to be US$5 billion. The EU is likely to benefit the most, capturing about US$70 billion of the US-China trade. In spite of trade diversions, indirect impacts from the trade war started to dent Thai exports. SCB EIC, a think tank of Siam Commercial Bank, reports that Thai exports which are part of the supply chains of Chinese exports have plunged in line with slowing Chinese economy. In particular, the drop was obviously seen in products related to trade dispute with the US.